Ryan's blog, How To Earn Money Online, is dedicated to teaching online entrepreneurs ethical strategies and techniques to generate passive income. He has a focus on article writing, blogging, niche sites and app development. My first introduction to Henry David Thoreau was through the Robin Williams movie Dead Poets Society. 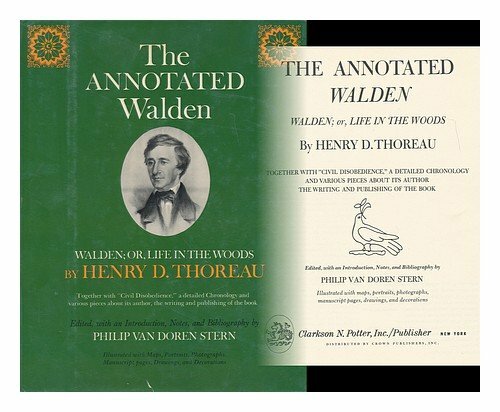 Thoreau's Walden was often quoted throughout the film, embedded within the wider message of Carpe Diem (Seize the Day) and making your life extraordinary. Without question, Dead Poets Society changed my perspective on things and I set out to read all of the works that were cited in the movie. From within this body of literature, Walden stands out as my all time favourite. When Henry David Thoreau made his decision to live in solitude in a forest to allow him to get close and personal with nature, he was strongly motivated by getting a feeling of what it is like to live a natural life and one free of synthetic human behaviour and living. He wanted to limit his exposure to cultural influences and live a minimalist lifestyle. Quite simply he wanted to live his life without the everyday distractions that modern life was plunging upon him. His aim was to live within nature for 2 years to experience if there are any benefits to living a simple life. The quest, for Thoreau, was to immerse himself in the solitude of a mill-side home, which was no more basic than a cottage, and cut off from all the modern technologies of life. He would require just the basic four needs that life wants or demands; heat, food, water and shelter. Furthermore, Thoreau was determined to log every penny that he spent during his tenure at the cottage beside Walden Pond. Thoreau had originally spent a lot of thought on his experiment to live in the woods. Initially he was going to live on a farm. He wanted to come face-to-face with the very essence of what is needed to live out life itself. There was to be no room for any such luxuries and conveniences that modern life itself were about to offer. The message for modern times is about simplification and minimization. I see a number of parallels between the key messages within Walden and the Buddha's teachings, such as living in the moment, taking time to meditate, and enjoying a life unencumbered by the trappings of modern society. This book was amongst the first that dealt with environmental matters in a serious way, and his detailed observations around timing and thickness of ice formations on Walden Pond are helping modern day scientists track the pace of climate change. Thoreau's words of inspiration now seem to be often quoted on the internet. I would really appreciate if you could leave your favourite Thoreau quote in the comment box below. For the record, my favorite quote is the one shown at the beginning of this article. This fully illustrated hard cover edition has a special place in my book collection. Lynn - I love that one. Hard to believe that was written over 150 years ago. There is something so timeless in his writing.